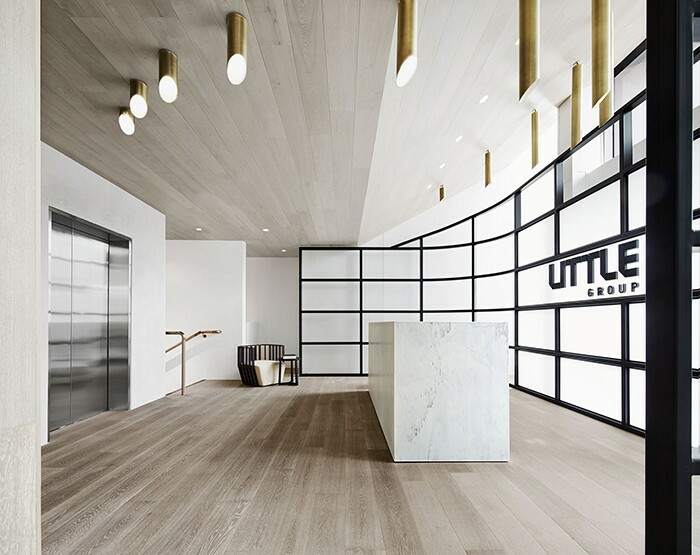 Little Group is a profound and established residential development company therefore it was essential for the office space design to be of high prestige. Our client had an earlier vision for their office to have a predominant ‘homely’ feel. A selection of soft and warm finishes was used within the design to fundamentally address this requirement. Tranquil and inviting timbers, marble, oak panelling and polished plaster walls were used. Textured broadloom carpets and hints of warm grey tones throughout the completed interior provides for a minimalist design yet impressive outcome.